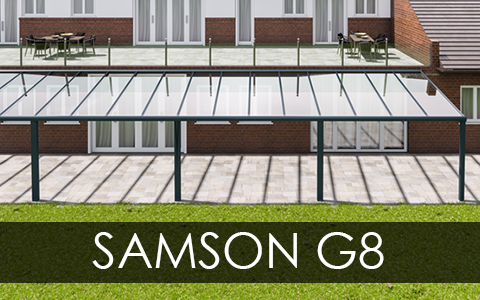 For the month of April, here at Samson Awnings we are offering a large amount off on a range of glass verandas in order to keep you warm, sheltered and enjoying your time outdoors. We have a whole range of possible glass roof systems that can be used in this offer. These high-quality structures are used around the world and are a symbol of reliability and high build quality. 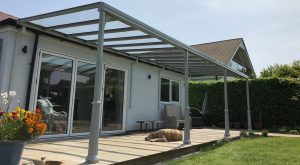 These glass verandas are modular in design, with frames allowing for glass panels and doors to be installed, and fabric screens also an option to prevent wind from disturbing those underneath. 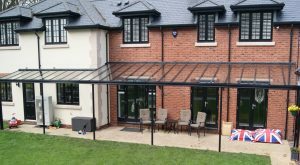 The combination of a veranda or glass roof with an awning is a a fantastic solution to the changeable British climate. 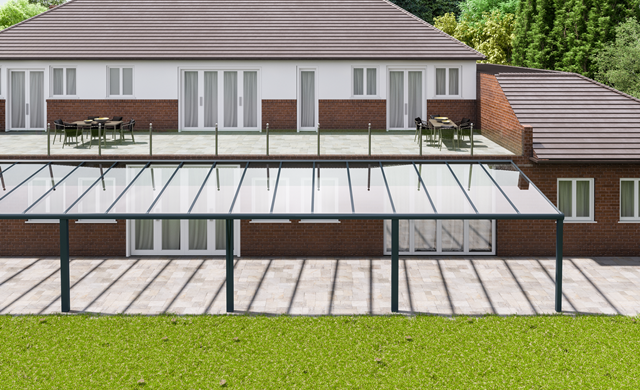 The glass roof protects again rain, hail and snow, whilst the retractable fabric awning will also protect against scorching or bright sun by providing shade when needed. If the sides of this system are filled in with fabric screens or glass panels or doors, then even wind cannot bother those underneath. If combined with a sun sensor, then the awning can be fully automated to retract and extend with no effort needed. 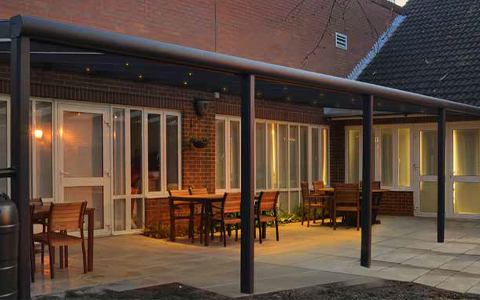 One of our most popular glass verandas with lightweight aluminium frame profile sections. Made to measure in width and projection with a variable pitch for the angle of the roof and maximum projection of 3.5m. Rainwater guttering built into the front profile with drainage through the support columns as required – straight out the bottom or channelled via pipework to existing drainage or water butts. 6mm toughened clear glass as standard. Available in white or anthracite grey (RAL 7016) as standard – other colours on request. For installation pricing we require details of the property wall we are fixing to, the ground we are installing the support posts to and your site location. Most of the UK is covered for installation. Available as self supported when the wall fixing is not suitable of possible. 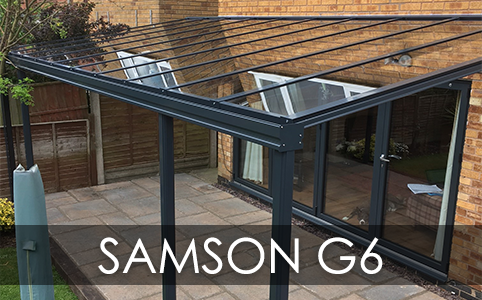 A popular glass veranda with a very different visual appearance and roof support bars below the glass line. Made to measure in width and projection with a variable pitch for the angle of the roof and a maximum projection of 4m. Rainwater guttering built into the front profile section with drainage through the support columns. Terms and conditions apply. For more information on this offer, please contact us.